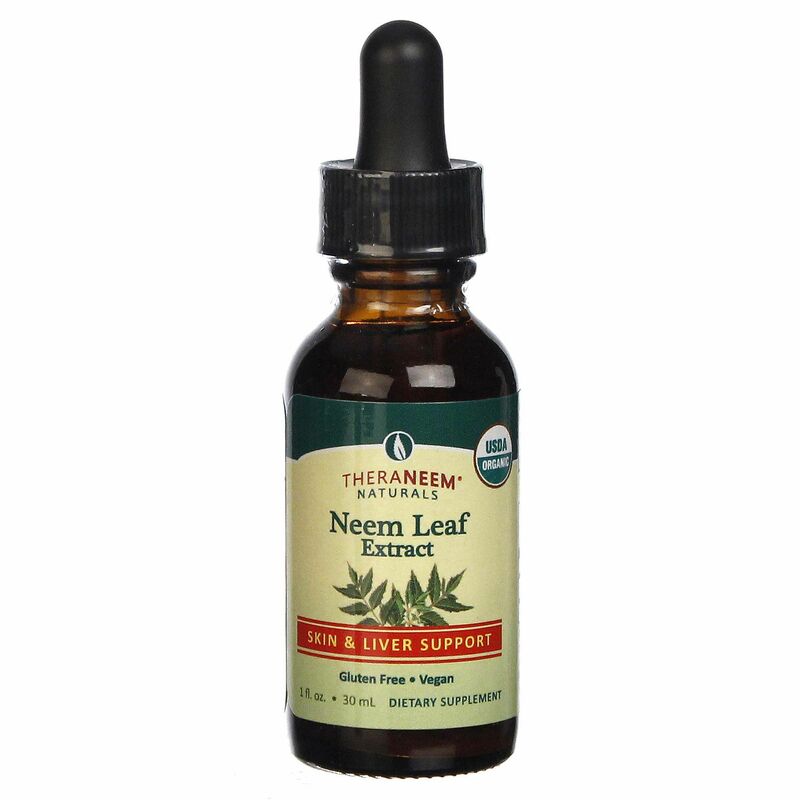 Delivered in a fast-acting liquid formulation, Liquid Neem Leaf Extract is certified organic and is made from vegetarian-friendly ingredients. Its unique liquid formula makes supplementation incredibly easy and Liquid Neem Leaf Extract can be taken diluted in water or directly from the dropper. Just take five to 20 drops to improve digestive function and support immune health. Warnings: Do not use if you are pregnant, breastfeeding or if you are trying to conceive a child (men or women). Not recommended for children under the age of 12. Ingredients: Distilled water, alcohol, neem. Directions: Shake well before using. Take 5-20 drops, one to three times per day. 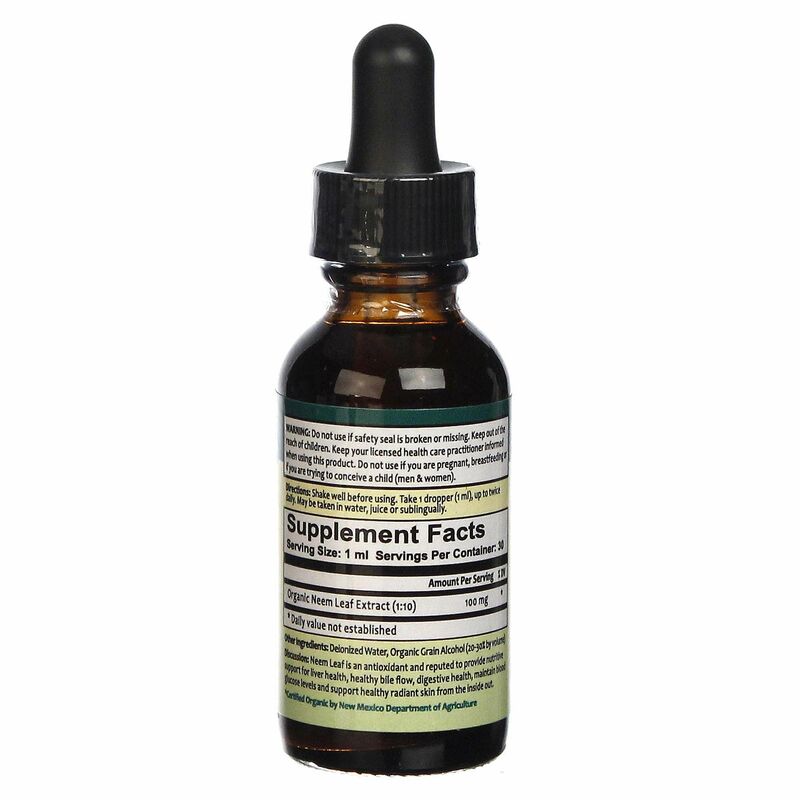 May be taken in water, juice, undiluted or sublingually. Made with certified organic neem leaves. Gluten free. Vegan.